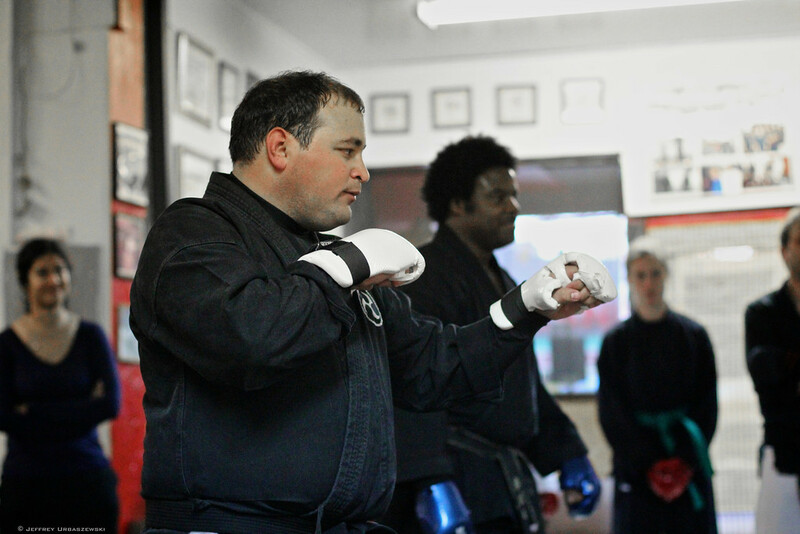 With over 20 years experience in Karate, Sensei Adlam is the most senior instructor active instructor at Gendai Martial Arts and is currently the assistant instructor to the Loyola University Karate Club. He holds a third degree black belt in Karate and has studied several styles including Jujitsu, Tae Kwon Do and kickboxing. Sensei Adlam has participated and won full contact matches at the TCMAC tournaments throughout Chicago and an amateur kickboxing match in Master Gangi’s tournament in Wauconda, IL. Sensei Adlam holds a degree in Management and Information Systems from DePaul University. Sensei Carbonari has over 15 years experience and is a third degree blackbelt in Karate and Shodan-Ho in traditional Okinawan Kobudo. For the past 4 years, Sensei Carbonari has trained traditional kobudo under Shihan James Caldwell and is currently a member of the International Kobudo Association. Sensei Carbonari participated in full contact fighting in the TCMAC tournaments throughout Chicago and in Master Gangi's tournament in Wauconda, IL. Sensei Carbonari is the Senior Martial Arts instructor for the Loyola Karate Club and has been a member of the club since 2000. He graduated from Loyola University Chicago in 2002 and is currently finishing his MBA at University of Chicago. In 1996, Sensei Carbonari was drafted in the Colombian army as part of the obligatory military services of the country. He served with distinction in a logistics unit and was raised to the rank of Private First class, rank only given to one in 10 men enlisted men, during his service. He was raised to the rank of reserve lieutenant after his honorable dismissal for being the best Private First class within his unit, honor bestowed to one soldier per unit. 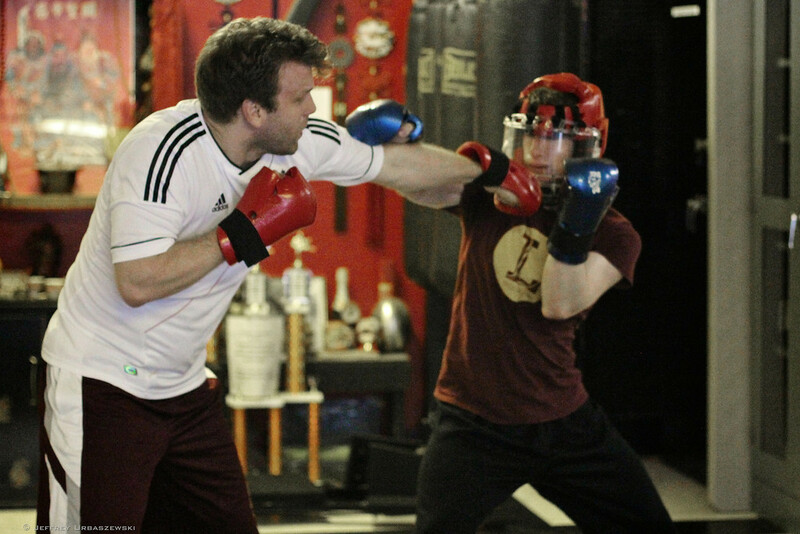 Joshua Scanlon has more than 10 years of Martial Arts experience. He wrestled for 5 years in Junior High and High School before joining the Loyola University Karate Club in 2003. He served the Karate Club as both Vice President and President, and received his black belt in Shorin-Ryu Karate in the summer of 2007 at the rank of Shodan. 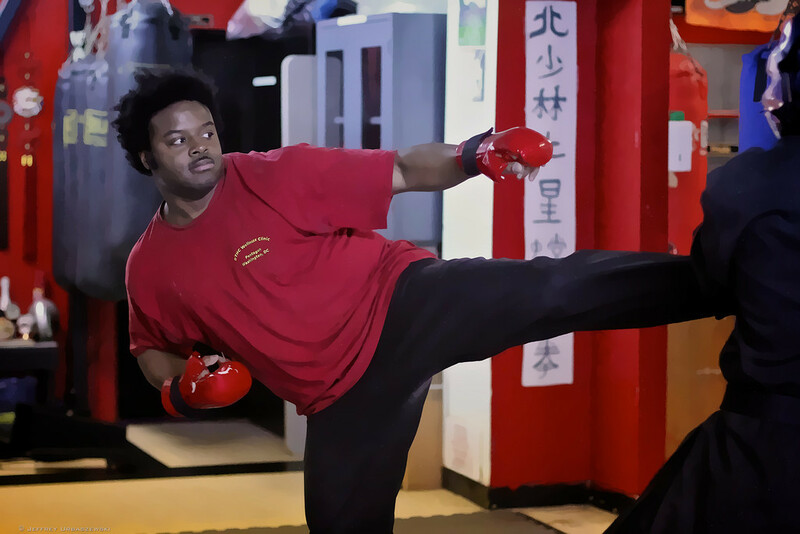 He has studied Yang style Tai Chi and Xing-yi Kung-fu since 2005, and is currently studying Shito-Ryu Karate, Brazilian Jiu Jitsu, and Shaolin Long Fist Kung-fu. Due to an abiding love of ancient weapons he has also devoted a large amount of personal study to Kobudo and Historical Western Martial Arts. 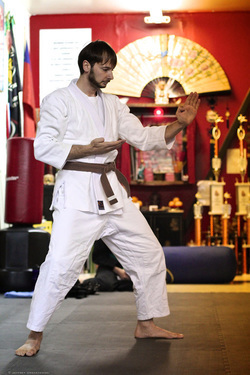 ﻿﻿﻿﻿﻿﻿Nick Arestopoulos is a 1st-degree black belt in Shorin-Ryu Karate. He is a well-traveled martial artist with deep experience from training with other instructors of other styles during his journey to Sho-dan. While in South Korea he studied Judo and Aikido under Lim-Byung Kyu at Dae Han Hapkido in Dong-Chun-Dong, Incheon City. He also studied Tai Chi under Dr. Tony Zayner for two years at Pacific College of Oriental Medicine while earning his Master’s Degree in Tradition Oriental Medicine. He brings different perspectives and knowledge into his training to help students find their own path through karate.